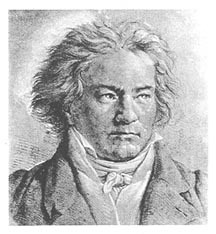 For many pianists, performing all 32 Beethoven piano sonatas over the course of a single year is the ultimate challenge — and a remarkable musical and spiritual experience for both performer and audience. In 1989 Michael Arnowitt began his novel and unique presentation of the 32 sonatas, an odyssey that will last him not just one year, but twenty-six. His concept is to traverse the 32 sonatas chronologically, matching up his age as he performs the various sonatas with Beethoven’s age as Beethoven composed them. In many ways, this series will be a study in the psychology of aging: audiences hear how Beethoven developed as a composer, how Arnowitt develops as a pianist, and the intersection of the two processes. Michael Arnowitt has performed “Beethoven & Arnowitt” concerts in Boston, Portland, Michigan, Vermont, New York state, Washington, D.C., Canada, and Germany. This new sixth installment in the series features five magnificent sonatas from the middle period of Beethoven’s life, including such audience favorites as the “Appassionata” and “Les Adieux” (Farewell) sonatas. The project began in 1989 with a youthful Arnowitt and Beethoven’s spirited early sonatas no. 1-4. The 32 sonatas have been divided up into eight concerts, and as he ages, Michael Arnowitt is gradually tackling Beethoven’s middle-period works, then the late, transcendent final sonatas, scheduled for performance not until the year 2015.